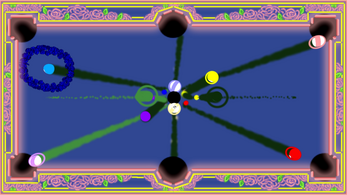 NO HOLDS BILLIARDS is a new spin on a classic parlor game. It answers the question "what happens when you remove the turn taking from pool". By allowing the players to shoot at will, the flow of the game has changed to become a visceral fight to find opportunities and sabotage your opponents plans. 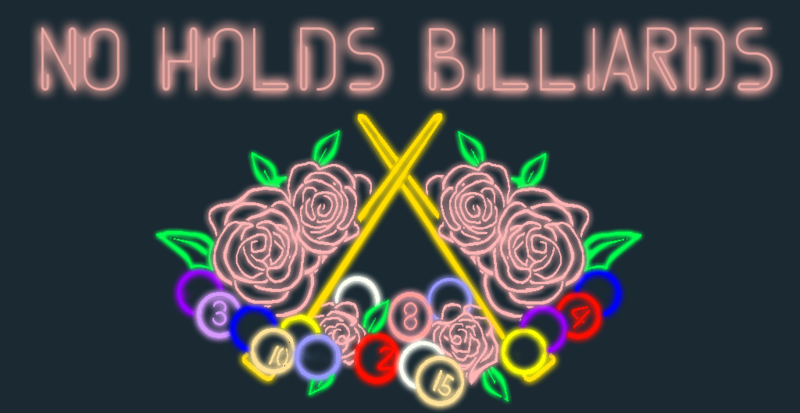 From the first scratch, to the sinking of that sweet eight ball, NO HOLDS BILLIARDS is an accessible yet competitive experience perfect for a night in or a find addition to a local gaming event. 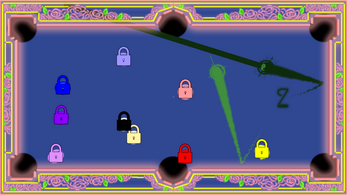 The game comes loaded with quirky power ups, replay ability, and enough neon to make Las Vegas blush. So quit reading this and give NO HOLDS BILLIARDS A SCRATCH. The first player to sink the 8-ball wins! The first player to sink a ball determines each player's ball pattern (stripes or solids). Sink all balls of your pattern before going for the 8-ball. The balls of the pattern opposite of your own count as your 'lives'. Knocking your opponent's cue ball into a pocket depletes one of their 'lives' and puts you one ball closer to sinking the 8-ball. When you lose a life, your cue ball respawns at one of your billiard balls. Both shooting at your opponent and shooting at billiard balls are valid strategies! Aim your shot with the Left Thumbstick. Press and hold A to charge a shot. Release A to shoot. Press Start to pause the game. 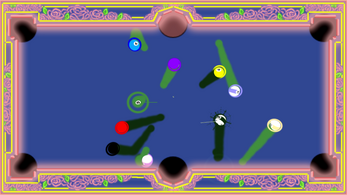 Requirements: No Holds Billiards was designed to be played with 2 gamepads. For an optimal play experience we recommend using Xbox 360 game pads. Using other types of controllers will require you to play around with the Input Config Window when starting up the game.